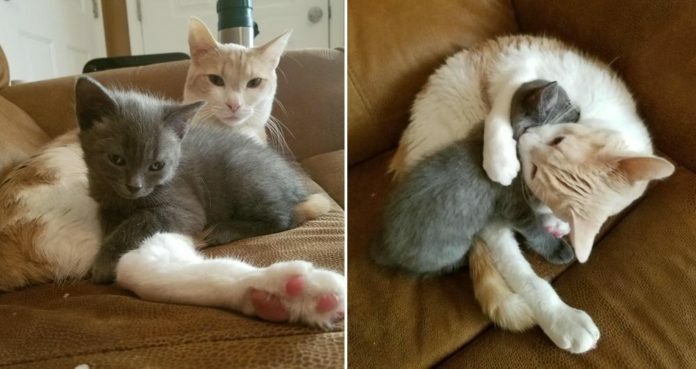 They gave a little neighborhood stray a new home, and she immediately snuggled up to their family cat and made him her new cat dad. 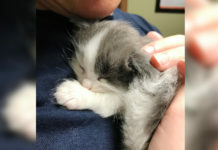 They found a little homeless stray in the neighborhood and couldn’t leave her there. 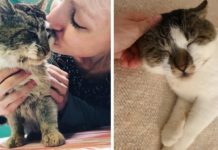 They took her home and made her a permanent part of their family. 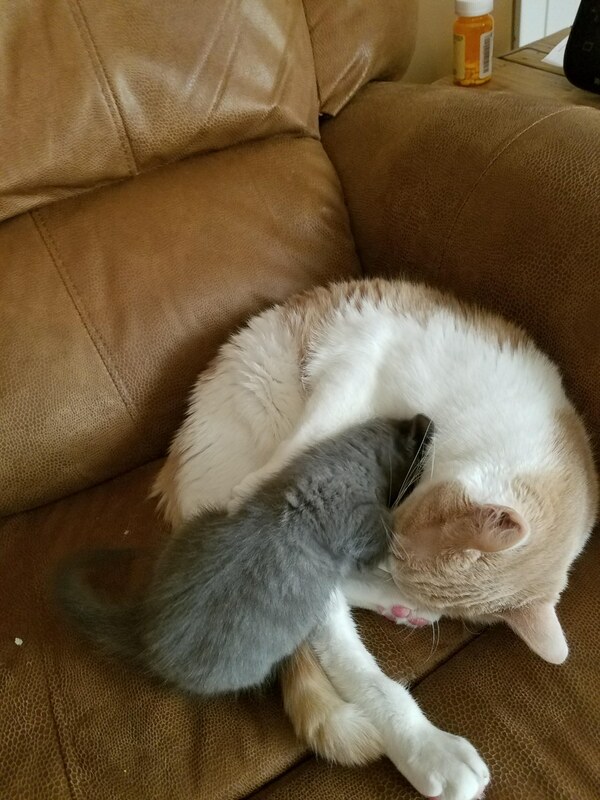 As soon as they introduced the kitty to their older cat, Frank, the little kitten made a beeline to the orange and white cat and started nursing away. 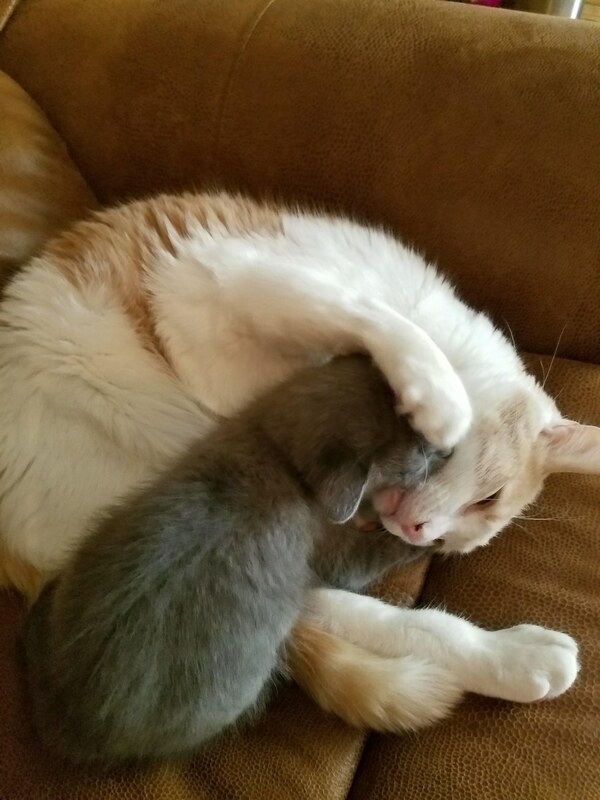 Frank was surprised by the little “uninvited” cuddler. 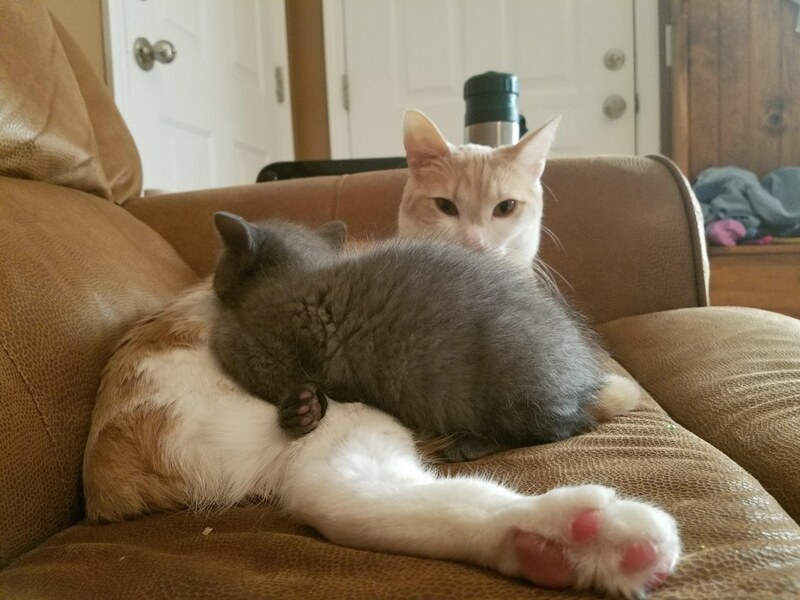 He was a bit unsure how to react to the sudden appointed parenthood, but as Rosalina kneaded away, he didn’t have the heart to move. 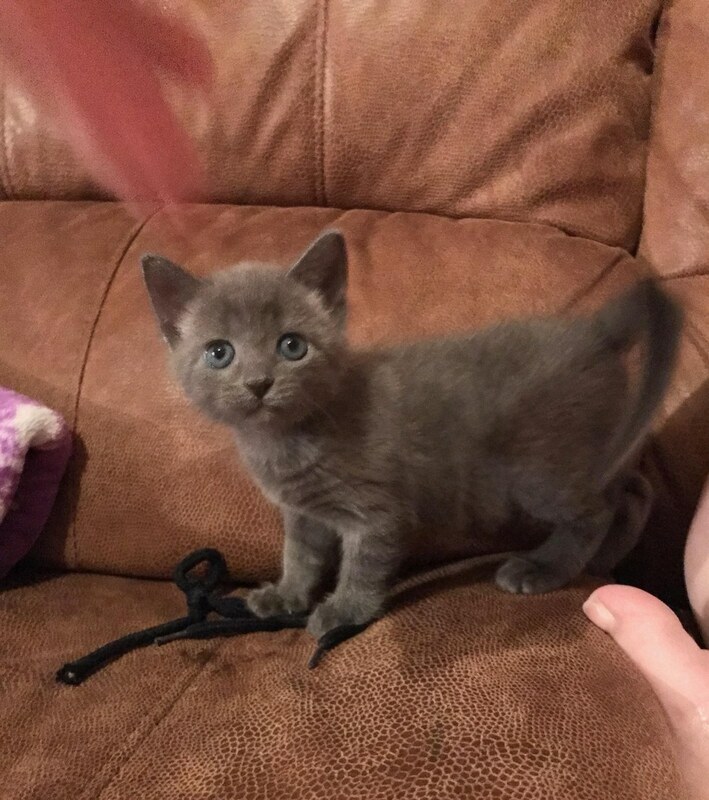 “Frank has assumed the role of cat dad after we found Rosalina in the neighborhood,” imgur user leftofthenormal said. 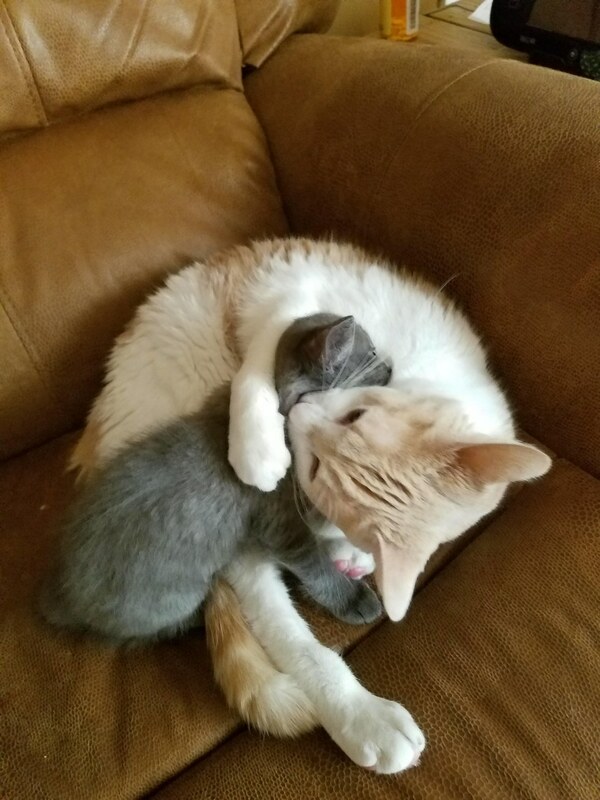 The family found the two snuggling with each other, purring up a storm. 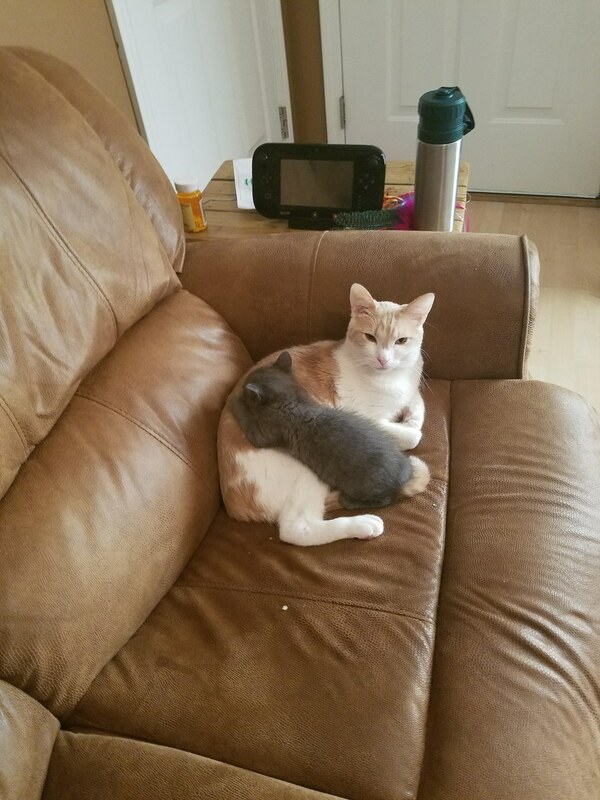 He is a bit confused when Rosalina suckles on his fur, trying to nurse, but he lets her and is purring along. 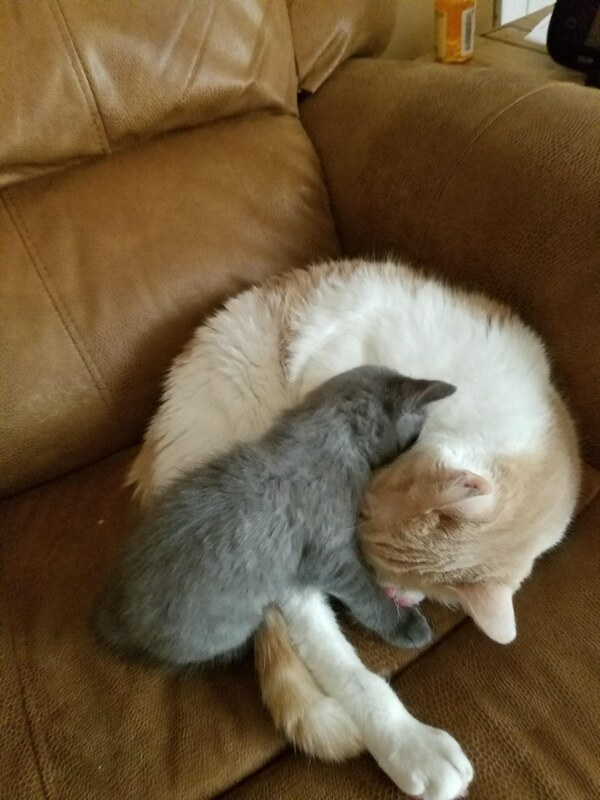 Rosalina clings to her adopted dad like glue and forces affection upon him. 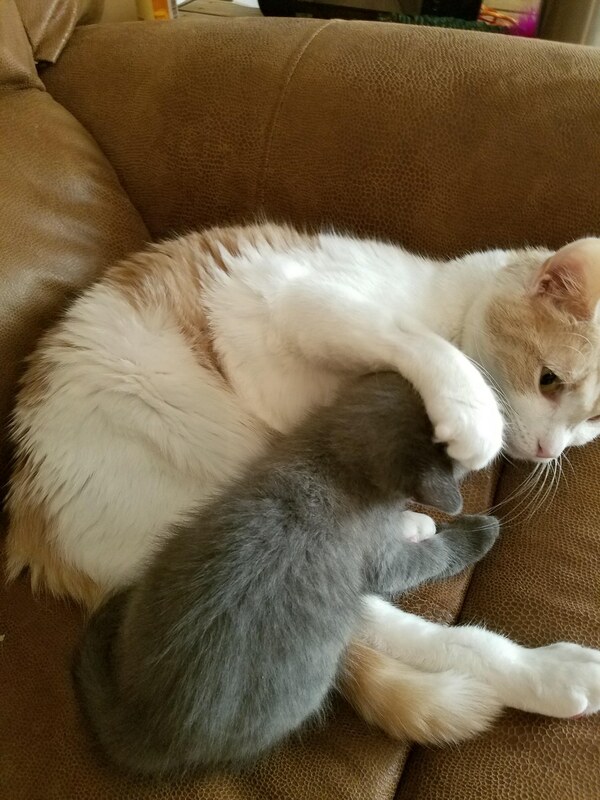 Frank doesn’t get a break from the little lovebug. 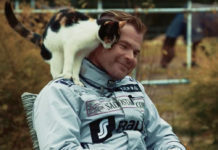 A hug and a love nip. 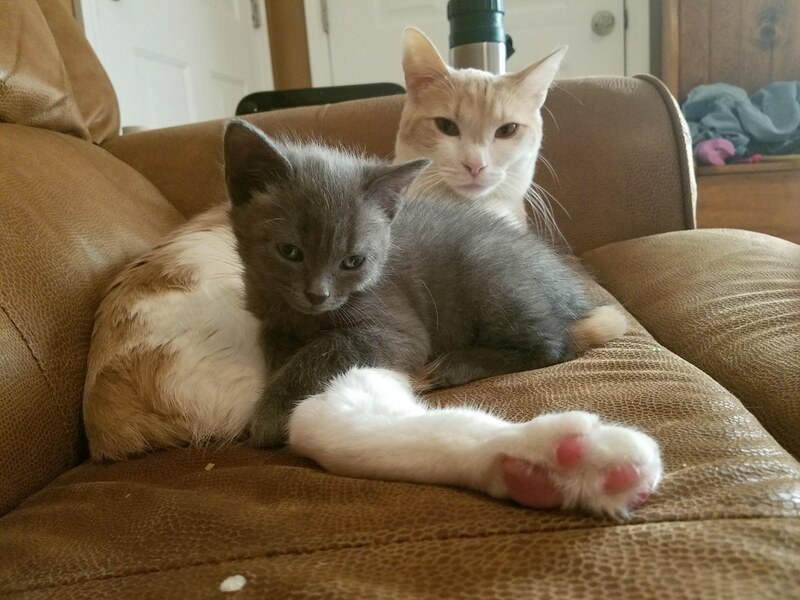 The two best friends have become totally inseparable. Rosalina buries her face in the crook of his neck.